I bought this coloring book from PM Press for my nieces a few years ago. 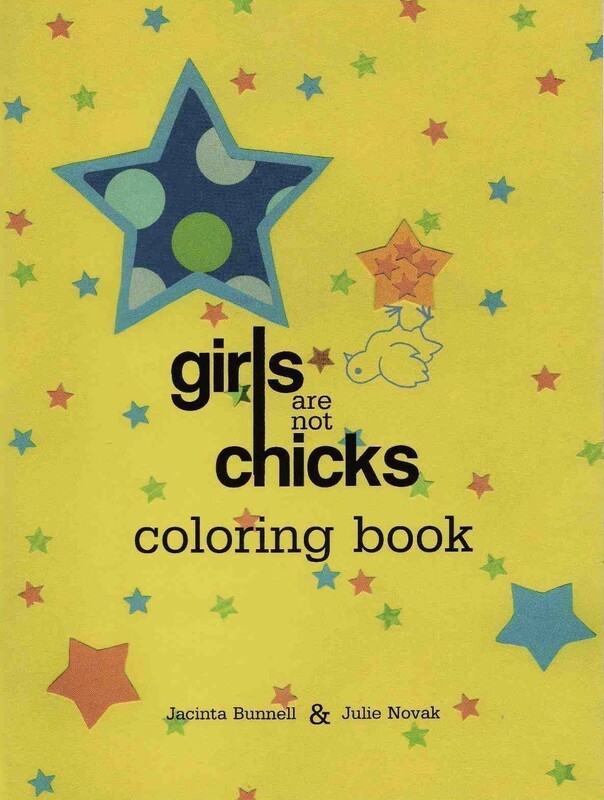 Not sure if the girls ever got around to actually coloring the book (I hope I didn’t scare off my brother and sister-in-law), but it’s still a great concept. Girls Are Not Chicks is a subversive and playful way to examine how pervasive gender stereotypes are in every aspect of our lives. This book helps to deconstruct the homogeneity of gender expression in children’s media by showing diverse pictures that reinforce positive gender roles for girls. Color the Rapunzel for a new society. She now has power tools, a roll of duct tape, a Tina Turner album, and a bus pass! Paint outside the lines with Miss Muffet as she tells that spider off and considers a career as an arachnologist! Girls are not chicks. Girls are thinkers, creators, fighters, healers and superheroes. Growing up, my understanding of femininity skewed more toward the damsel in distress than that of the superhero. (Which is probably why I appreciate women who make rebellious art and music so much these days.) It’s extremely important to start early, introducing girls to a range of options outside of the roles of princess, bride, and doll collector. Although, if they’re into those things, then that’s cool too. Books like Girls Are Not Chicks simply help start the conversation. Some of these little quips may go over a child’s head, but trust me, she’ll appreciate it when she’s older. Get the book here.